Beautiful 3 bedroom, 2 bath single level home located on the beach and away from traffic noise. Located in the "Bath Tub" beach area, which protected from the reef, and makes it for a great area to swim. Home features central a/c for comfort, open kitchen with Corian counters, open beam ceiling, tiled flooring, outdoor shower, new vinyl windows, a loft and a lock out bedroom and bathroom with separate entry for guest. Enjoy the beautiful ocean views right from your kitchen and dining area. Tax office records do not reflect loft living space. Great location, across the street from Polynesian cultural center and minutes from Laie Shopping center, Bringham University, and more. 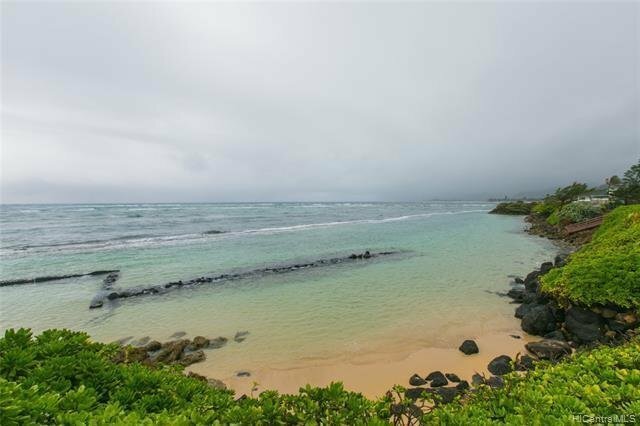 Listing agent is selling on his own account and licensed in the State of Hawaii.